Window sills perform several important tasks: On the one hand, they are stylistic elements and influence the facade’s visual aspect, on the other, they protect it against weather-based damage, thus making them very useful and indispensable in the fenestration industry. Window sills actually protect and guarantee the longevity of surrounding structural elements. Last but not least, the housekeeper can of course use them to decorate the inner or outer space of his home, enhancing his quality of life. Most of us put flowers, plants, photographs, sculptures or other things to create a harmonious ambience. The window sills for the home interior offered by Windows24.com are manufactured from high quality PEFC-certified wood. A special production process ensures that the window sills are especially stable and stay in shape and, very important, are resistant to moisture within the building. Being exceptionally scratch-resistant and impervious to either acid or calcium these robust products need little or no cleaning and maintenance. Thanks to the very wide range of paints and decors available it is possible to match window sills to every type of interior design to produce a harmonious overall effect in every home. As far as function is concerned, within the building a window sill is principally for decorative purposes. It forms the connection to the window parapet but does provide one more useful function which can be embellished and decorated: Whether family photos, flowers, souvenirs or some kind of decorative element – fantasy knows no bounds. By the way, today’s window sill with its fashionable design and its versatility can be a stylistic element in its own right. The assembly and fitting of interior window sills can be carried out either by an experienced DIYer or by a professional. As a window sill – at least within the home – is not considered to be a “stand-alone” component, there is no need for a specialist window fitter. An external window sill is usually fixed with a slight incline outwards and downwards. The main task here is no longer decoration but weather protection. Window sills for the outside area therefore represent added optical value to every window as well as contributing to extending the useful life of the facade. The incline of the window sill serves to aid rain water flow, the so-called drip nose. The dirty rainwater flows over the drip edge and the facade is left clean. The various forms of edge available allow a good selection which can take into the taste and individual requirements of the builder. Window sills in the outdoor area offer good protection against the full effects of any weather; without them the dirty water falling during a rainfall would flow directly from the window onto the outside wall and leave dirty marks behind. However, it is not just the look of the facade which is protected, the life time of the masonry and brickwork is also extended. In order to reduce the noise generated by falling rain every external window sill offered by Windows24.com comes with a so-called anti-noise film foil. This means that the rain flows off the window sill outside such that the home owner indoors is not irritated by the loud drumming sound of falling rain. Frequently aluminium is used for the exterior window sill. This modern material has the advantage that it is extremely weather resistant as well as being very – and the life time of the product is appreciably higher than those of other materials. In terms of colour, aluminium is available in a diverse range of finishes: no just window sills in plain grey, but in white or attractive dark bronze, for example. Another good advantage that should be mentioned is the low maintenance of aluminium products. Where other building materials must be continually cleaned or require regular maintenance in order to preserve their appearance or their function, this is unnecessary for aluminium. No sanding or repainting – an aluminium window sill fulfills its duties reliably, 365 days a year. In comparison to window sills of stone, aluminium also has the advantage when it comes to appearance. Regardless of whether the sun is shining and the garden beckons, or whether rain is falling steadily onto the sill: aluminium retains its good looks. This is not the case with marble or natural stone, where rain and snow can, over a period of time, cause ugly staining or deposits of limescale. 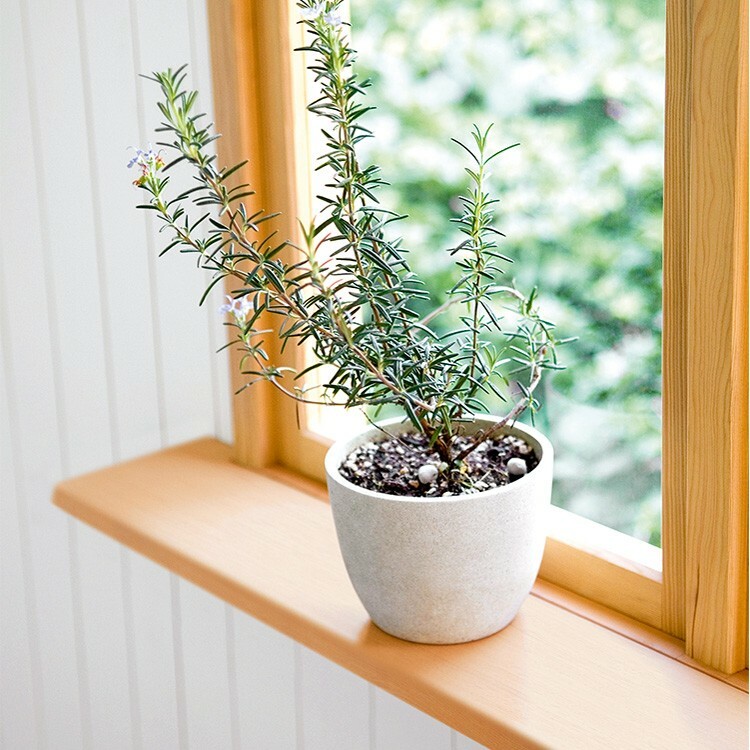 Flower pots or any other object placed on the window sill and left for a time can cause a natural material to leave unsightly marks, marks which are quickly and easily removed if the sill is aluminium. Granted, window sills of natural stone etc. can be sealed, but both price and effort increase, which has to be considered along with the extra work required. In order to upgrade existing, older window sills there are a number of products on offer which bring modern features to sills. Some window sill systems are equipped with an extra cover panel which can be fitted over the existing window sill. Then it is not necessary to spend time and effort removing older window sills with the possible risk of damaging the underlying masonry. The original sill continues to carry out its function but also profits from having a new, robust casing. Using the Windows24.com product configurator not only windows and doors can be ordered but also your window sill can be planned and designed quickly and easily. Der Advantage: all the selected elements are placed into a clear and comprehensible list and can be checked throughout the process and are ready for exact planning. 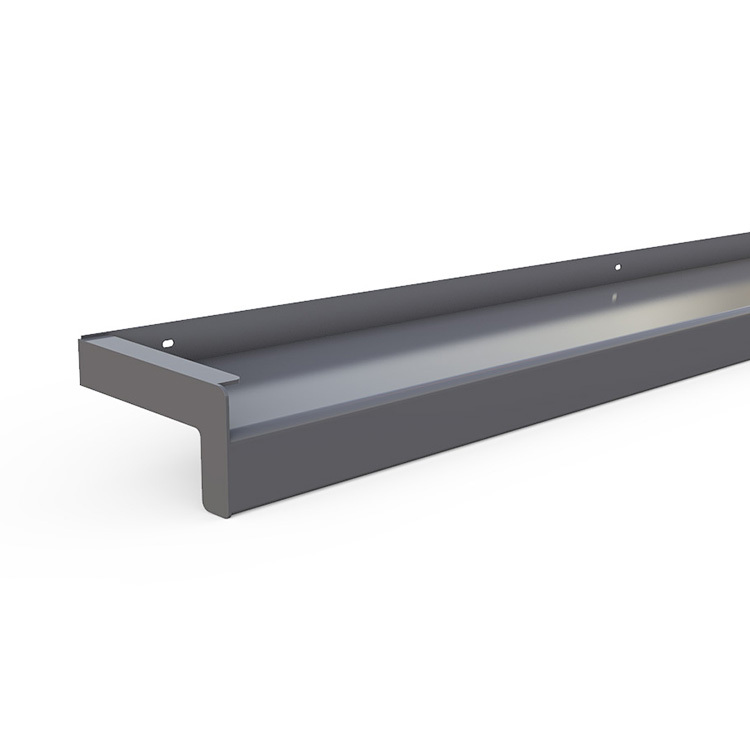 While window sills for the external area are available in one product line, those for the internal fitting come in two models, Compact and Exclusive. The first step is to determine the length: both inside and outside sills can be anything from 300 mm and 2500 mm long. Then we choose the overhang of the sill; the overhang denotes the depth of the window sill which can be between 50 mm and 400 millimeters for external sills; window sills for indoors can have a depth of between 100 mm and 450 millimeters. As the sizes have been standardised, simply click on the size shown in order to add the required depth. As last step before ordering the required colour must be chosen. The colour can be selected to set an accent, or to match the window or facade design. The practical display means that your selection stays in sight and can be changed and updated at any time as often as you like. After all, these long-lasting products will be decorating your facade and living area for many years to come.